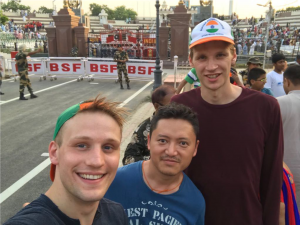 With support from the Bose Scholar Program, I was able to pursue a research opportunity that sent me to India for two months during my first summer as a medical student. I went to work with the Zero TB in Tibetan Children’s Campaign which aims to eliminate TB in the Tibetan children in exile. This was an exciting prospect where, once in Dharamsala, the opportunities and experiences I was exposed to were endless. I was housed in the staff quarters above the hospital and attended morning rounds with the physicians. This offered me invaluable, unique clinical experiences in a low resource, high disease burdened setting. In addition, I was able to work in the TB ward known for being one of the best TB treatment centers in India. At this site I was able to spend all my time with the Tibetans in Exile, a minority, but tight knit, resilient and culturally unique group in India. 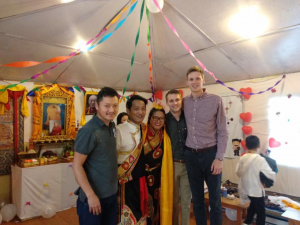 More intimate were the friendships I made in the Tibetan Delek Hospital where much of the staff lived and worked. I was taken to peoples houses, to their favorite swimming spots, paragliding, and even to a wedding. I can not overstate how welcoming and warm the staff is at Delek. Even though I tried, I was unable to pursue all of the research prospects available at this site. My primary goal was to investigate quality gaps in the Zero TB Campaign and make recommendations for improvement. 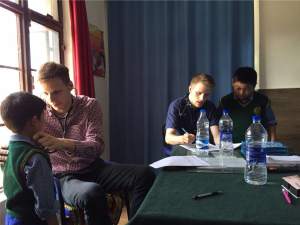 As a Program, the Zero TB staff visit Tibetan boarding schools, monasteries, and nunneries in India to educate the residents and screens them for latent and active disease. I assisted the nurses and doctors on these trips around northern India where much of these quality improvement gaps were present. Through interviews and surveys administered at these institutions and at the hospital, I was able to compile a significant amount of data that I will be presenting at a conference this coming spring. In addition to this research, I was able to help investigate the performance of latent TB treatment in patients with Hepatitis B and help update the hospitals TB Treatment Manuel. In the future, I hope to see epidemiologic research on Hepatitis B in the Tibetan Refugee population, anemia in nunneries, diabetic risk factors in Tibetans, case studies on XDR TB regimens provided at the hospital, and research on an optimal primary care schedule for hospital staff and their families at Delek Hospital.